Acute lymphoblastic leukaemia is the most common form of childhood cancer, with around 400 children diagnosed every year in the UK. Although 90% of these children can now be cured, this survival rate has only been achieved with the most intensive and thus most toxic treatment protocol of almost any other childhood cancer. This project could pave the way for the development of new treatments, particularly for the group of high-risk children with resistant disease. Acute lymphoblastic leukaemia (ALL) is the most common form of childhood cancer, with around 400 children diagnosed every year in the UK. In the last 50 years, ALL has been transformed from a disease that was almost universally fatal to one that is curable in upwards of 90% of children. This remarkable turnaround has been achieved with one of the most intensive and thus toxic treatment protocols of almost any other childhood cancer. Treatment lasts up to three years, comprising high doses of oral, intravenous and intrathecal (into the spinal fluid) drugs and sometimes requiring radiotherapy and/or stem cell transplant. This intensive treatment aims to prevent return of the disease (relapse) however it is thought that at least 50% of children are over-treated and could be cured with less intensive therapy. Prof Enver and colleagues have been trying to understand why the disease returns (relapses) in some children but not others. They identified a rare cell (the ‘stem/B cell’) present in children with precursor B-cell ALL (B-ALL, the most common form of ALL) but absent from unaffected children. Stem/B cells have unique biological properties and in pilot work the team has found that in some (but not all) patients they persist after chemotherapy. If they (or cells like them) are largely responsible for disease persistence after chemotherapy (known as minimal residual disease, or MRD), they may be responsible for relapse. If the stem/B cells could be eradicated, relapse could be prevented. Although modern treatments for ALL are highly effective, they place a heavy burden on young patients. Treatment lasts up to three years and consists of high doses of toxic drugs. Some children also require radiotherapy and/or a stem cell transplant. If – as expected – the stem/B cells are shown to drive leukaemic persistence and relapse, this has implications for i) treatment stratification (with lower intensity treatment for children with no evidence of the stem/B cell at remission) and ii) the development of new treatments specifically targeting the stem/B cell to improve the outlook for high-risk children. Professor Tariq Enver, UCL Cancer Institute; Dr Phil Ancliff, Great Ormond Street Hospital; and Dr Rachael Hough, University College London Hospitals. 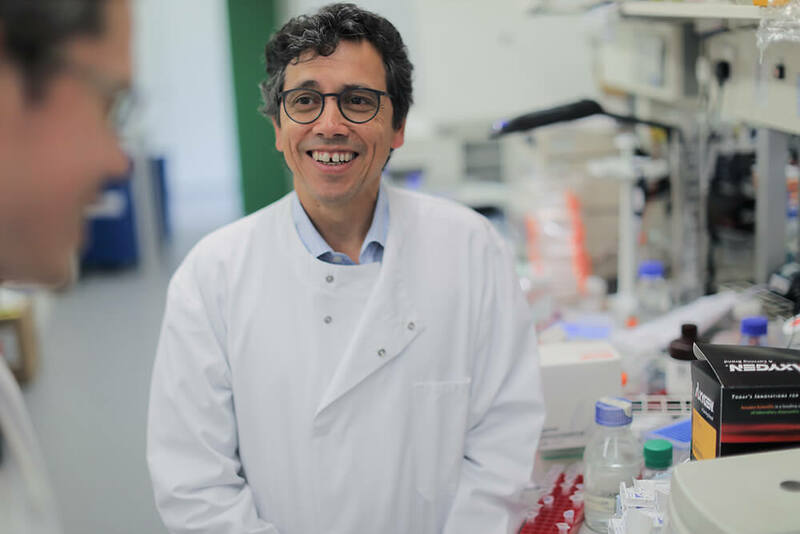 Professor Tariq Enver is a world-leader in the field of leukaemic stem cell research. He is collaborating with clinician colleagues from Great Ormond Street Hospital, UCLH, Bristol Royal Hospital for Children and Oxford Children’s Hospital to take forward this important work. The team will study children and teenagers being treated for ALL at the four treatment centres. They anticipate recruiting around 180 patients per annum – 130 children, 30 adolescents and 20 young adults. Bone marrow samples are routinely collected for MRD monitoring as part of current treatment protocols and no patient will be required to provide additional samples solely for this study. The team will carry out a longitudinal study analysing the different types of leukaemic cells in bone marrow samples taken at diagnosis and through treatment in each. Using techniques that have never before been systematically attempted in primary leukaemic cells, they will identify and characterise cells that persist through treatment (Minimal Residual Disease – Sustaining Cells, MRDSC) and which may drive relapse (Relapse Initiating Cells, RIC). This will give us a better understanding of the cell biology of MRD in childhood ALL and how this correlates to the disease at diagnosis and at relapse. It will provide further information about the role of the stem/B cell (MRDSC and RIC) in leukaemia persistence and relapse.